Available for hire for Canon or Nikon cameras, will also fit other full frame sensor cameras like Canon 5D III or Sony A7SII and S35 sensor cameras like the mini Ursa. 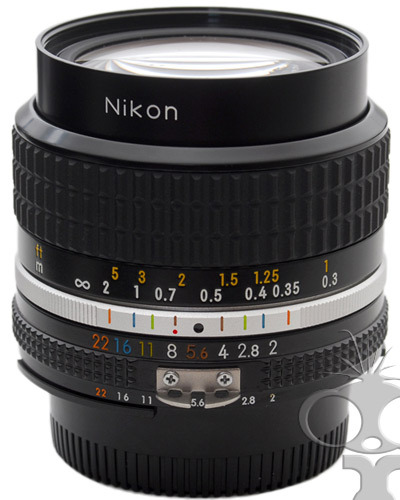 This is the Nikon manual focus 24mm prime lens. The Nikon 24mm is a manual focus wide lens. The lens has a maximum aperture of f/2 and a minimum aperture of f/22. The lens features CRC (Close range correction) which increases sharpness in wide lenses at short focal distances. The lens has a wide picture angle of 84deg and a closest focus distance 0.3m (1ft). The filter diameter is 52mm. Usually fitted with adapter for Canon EF mount. EOS 5D mkII, EOS 5D mkIII, EOS 600D, EOS 60D, EOS 650D, EOS 6D, EOS 700D, EOS 550D, EOS 100D, EOS-1DX, EOS-1D C, EOS C500, EOS C300, EOS C100, C300, C300 II - basically any Canon EF mount camera. Blackmagic EF mount or MFT (with MFT adapter - not supplied) Ursa, Mini Ursa, Production 4K camera, Studio camera, pocket camera etc.